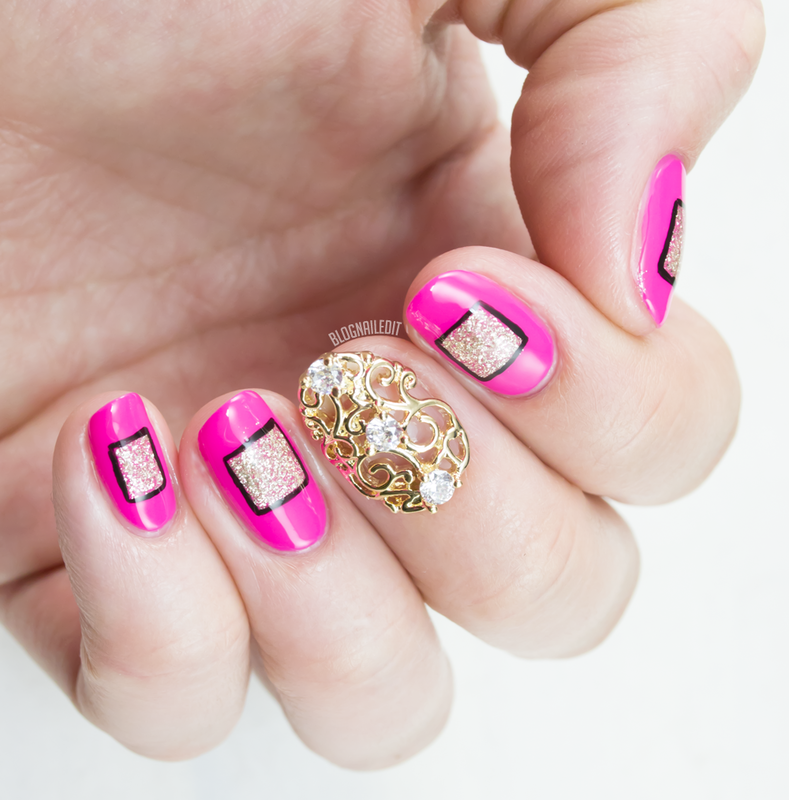 As the nail world evolves, 3D nail decorations have become more popular and less isolated in specific nail communities. One of the easiest ways to get this growing trend is to glue on a full-nail metal decoration, like these awesome jewels from Bundle Monster. I'm reviewing two, but they're very similar. They're about the size of a dime, if that helps with sizing them to your own nail. For this look, I just laid them on a wet top coat and let it dry. That won't hold them well at all though, and you'll likely lose them and be very sad about it. A better way to adhere them to your nail is to use nail glue on your natural nail. An even better and more secure way is to use acrylic, but if you're not sure how to use acrylic, just stick with glue. 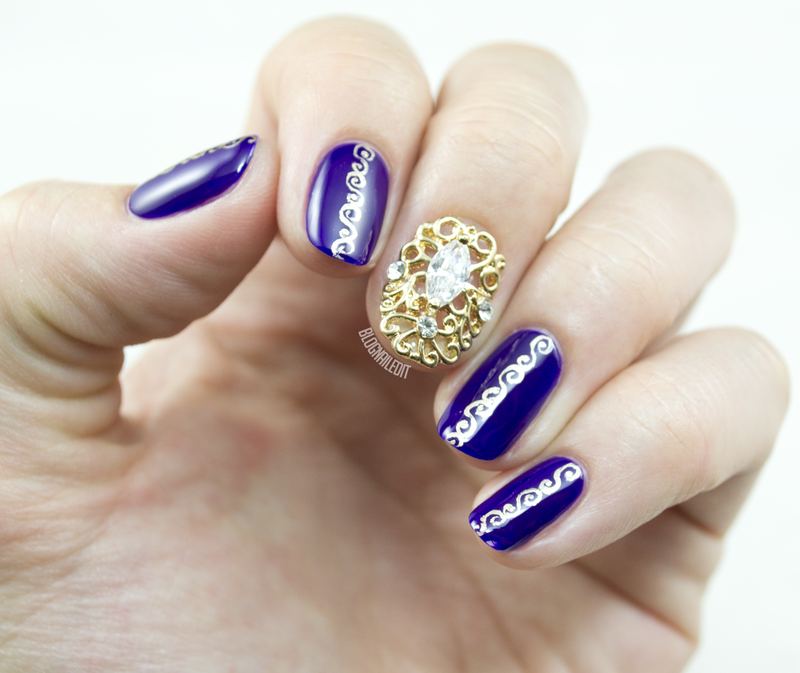 I snazzed up these simple manicures so easily with the metal embellishments. The first manicure uses Orly Saturated and essie Good as Gold. 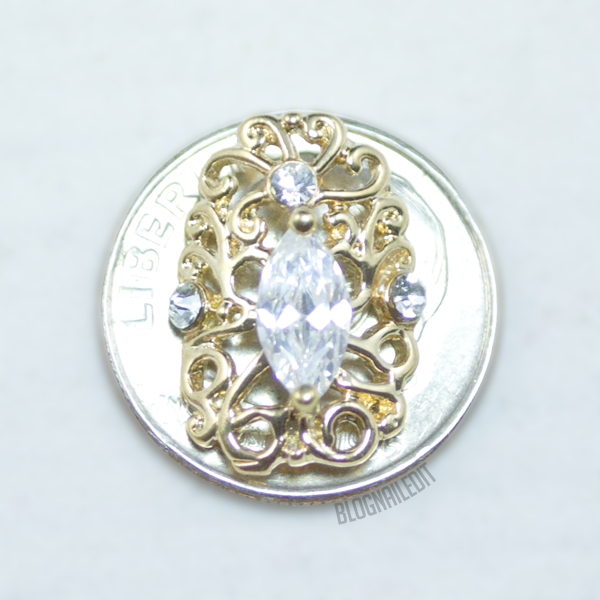 I hand-painted the gold designs to mimic the pattern in the cabochon. Here's a link to purchase this cabochon, which comes in a pack with 2, for $1.98. I used this $1.99 cabochon set for my second manicure. The pink polish is Orly Neon Heat, and it's framing OPI My Favorite Ornament (outlined in black). So if you're interested in trying the 3D look, this is a great way to wow! To browse all of Bundle Monster's 3D decorations, click here. These products were sent to me by Bundle Monster. The reviews are based entirely on my experience with the products and were in no way influenced by anyone. I'm really liking these whole nail decorations lately, and the manis you did to match with it workes so well, I really ove them! I love the first design! The polish and swirl design compliments the cabochon so well! !